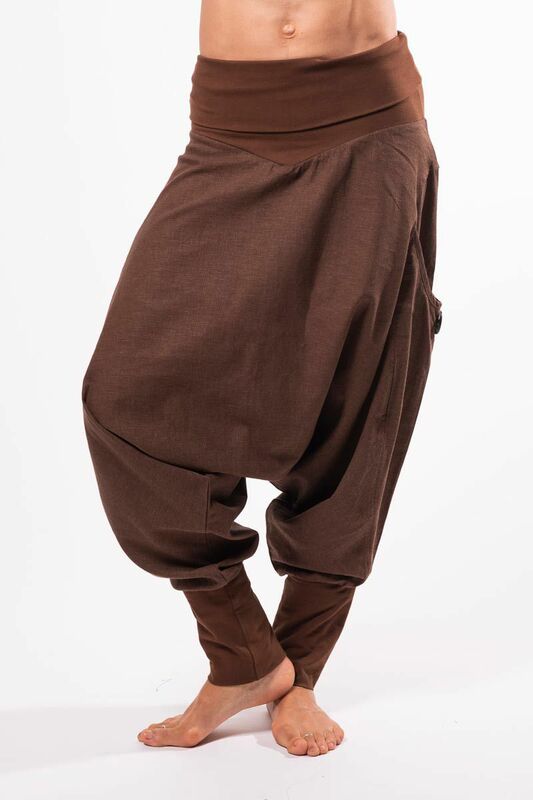 Harem style pant for yoga and leisure in soft linen. 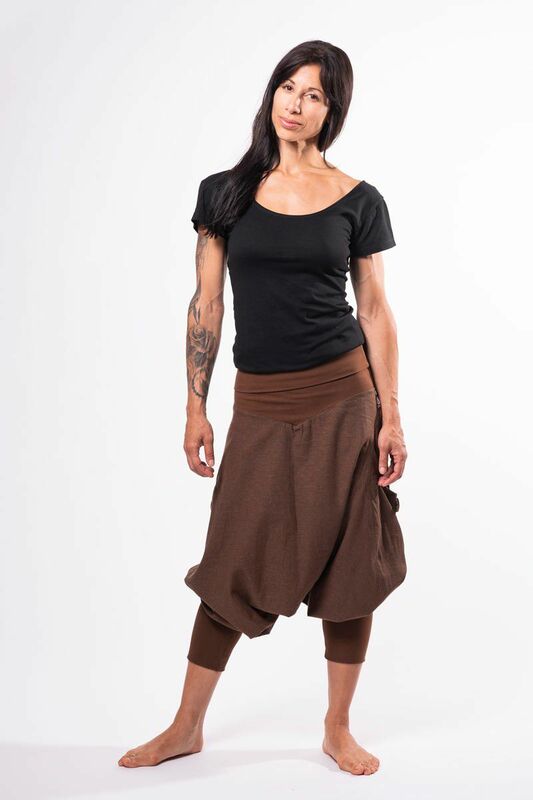 Waistband and legband is cotton/lycra for that extar comfy feeling! 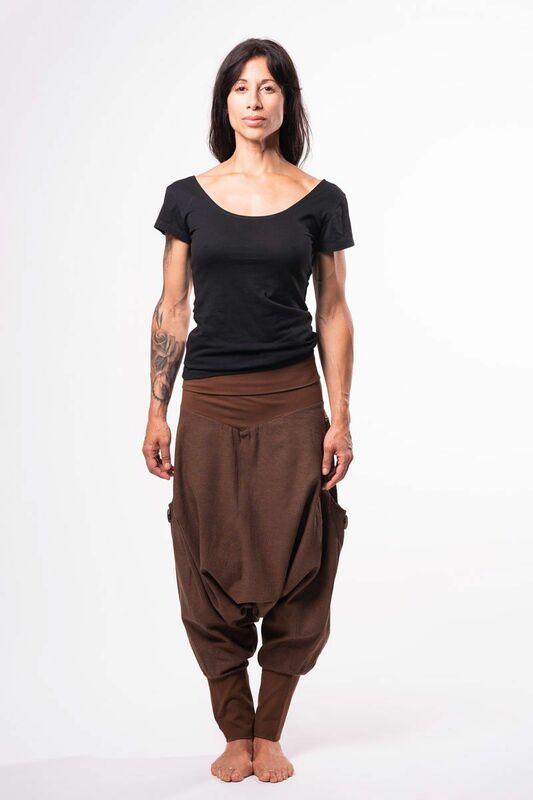 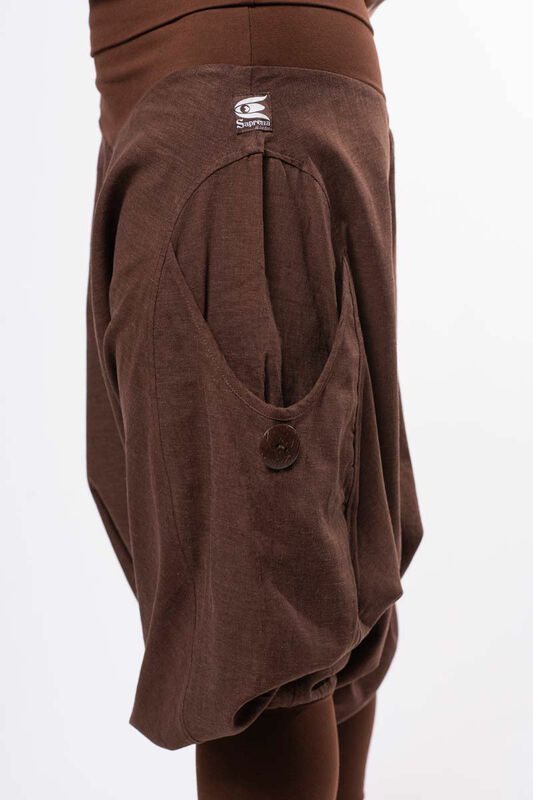 This pant has a wide pockets with a coconut button on the side of each leg. 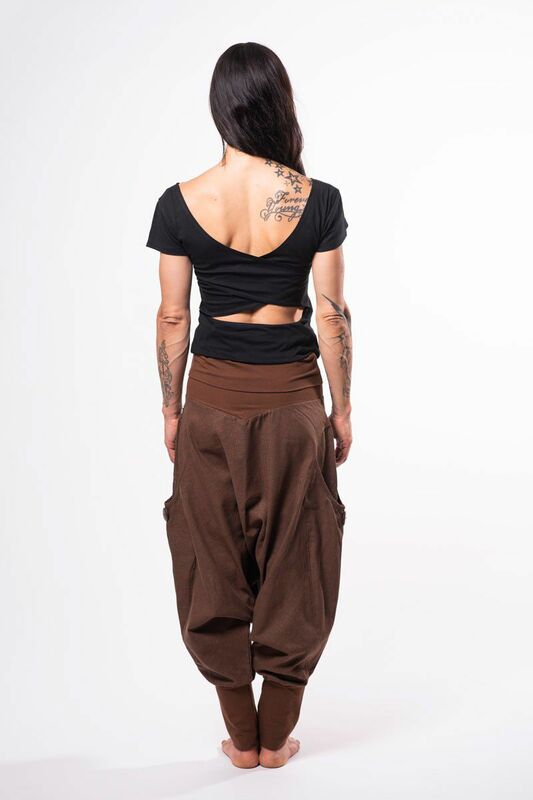 Made in Bali - indonesia in sweet collaboration with the owner and workers.